When you apply for a loan or a credit card, the lending institution checks your credit history before deciding to lend to you. Your credit history is provided by the Credit Information Company (or credit bureau), which the lender uses to assess your risk as a borrower and accordingly decide whether to approve the loan application or not. The credit bureau determines a credit score based on your previous credit history, your current debt levels, the amount of time you have had the credit, the types of credit you have available and your pursuit of a new credit. Credit information companies have developed their individual credit scores, which is typically a three-digit number that represents a summary of individuals' credit history and credit rating. This score ranges from 300 to 900, with 900 being the best score. Indiscriminate spending on the credit cards, utilising the large credit limits and being undisciplined about repayment can adversely impact the credit score. Building a credit history: If you have never taken any kind of credit at all, then there is no record of you in the credit bureau. If your financial institution declines your regular credit card application citing lack of credit history, you can apply for credit card against fixed deposits (FD). FD acts as a security and bank is more confident to issue a credit card even when there is no credit track record for you. Once you have availed any credit card or loan, then do keep the below pointers in mind to ensure that you build a positive credit history and good credit score. If you are not financially responsible, you may be denied any future loans or credit cards. Timely payments: A good step in building a credit history is timely payments of your credit card bills and other EMIs. If you have a credit card and don't pay the minimum amount of your credit card bill on time, it will possibly impact your credit score negatively. Be prudent and avoid defaults: Avoid default on a credit card or a loan instalment since that will negatively impact your credit report and score. The new lender can see all your previous defaults on other lenders your credit report. The credit reports also reflect the details about the settlement of default payments with your previous bank. Be smart while spending: Don't go overboard with spending during the festival and holiday season. 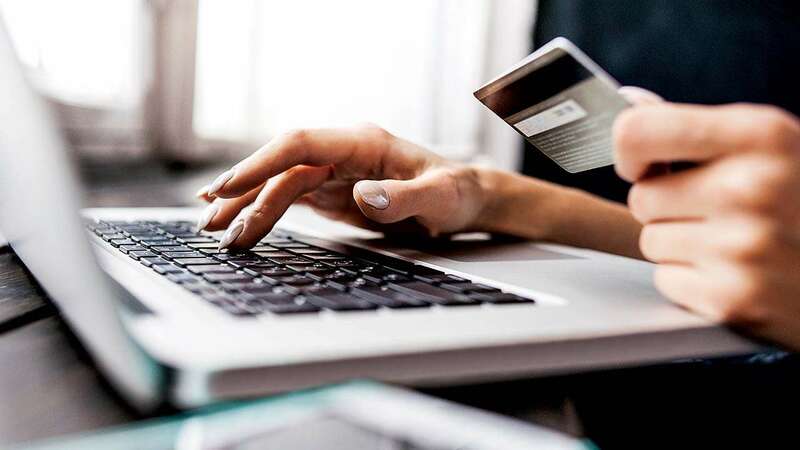 Along with the retailers and e-commerce companies, in the festive season, the financial institutions will come up with many offers on credit cards and personal loans to help you make the most of your shopping. You need to avail the offers judiciously keeping in mind your income and ability to pay. If you max out your credit cards, it will have a negative impact on your credit score. Limit unnecessary inquiries: It is advisable to limit your inquiries for loans or credit cards. Shopping for loan/credit card should not be indulged in case one is not really interested in taking the loan/credit card. Build a good mix of loan types: Instead of just having a credit card, try to avail different types of loans like personal loan, home loan, auto loan etc. A healthy mix of loans may get a higher weighting in credit score versus a person with only one kind of loan. Obviously, do this keeping in mind the above-mentioned to-dos of timely payments, avoiding defaults and not maxing your credit utilisation. Check your credit report regularly: Start making a habit of checking your credit history regularly and looking through your credit report. You can get a credit report from the credit bureaus through their websites. If you find any information in the report that you do not recognize, you should contact the respective credit bureau to dispute the same. The credit bureau, in turn, will contact the relevant financial institution to raise your dispute. In addition to telling you more about what's going on your credit score, checking your report can work as an early-warning system for identity theft. As you start establishing your credit history, keep in mind that you should only apply for credit that you can afford to pay back. Being financially smart will work for you in the long run.